The palm is perhaps the worlds oldest food producing plant known to man. Its seeds dating back 50,000 years were found in the Shanidar Caves of Northern Iraq, together with walnuts. Sumerians were known to have cultivated the palm, to produce a staple, reliable source of food. Today, commercial palms are grown in large irrigated stands in Iraq, producing 80% of the worlds production, followed by Iran Saudi Arabia, Egypt and Algeria, Morocco. 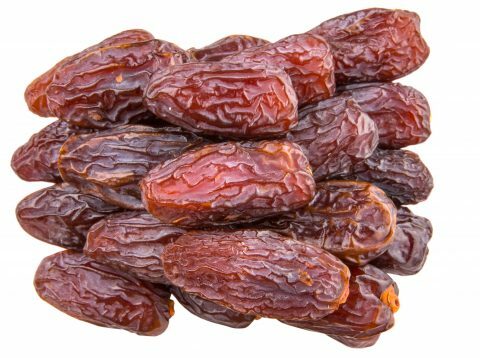 Dates are packed with iron and are rich in niacin, potassium calcium and magnesium.